Gray Cook is practicing physical therapist, a orthopedic certified specialist, a certified strength and conditioning specialist and an RKC kettlebell instructor. He is the founder of Functional Movement Systems, a company that promotes the concept of movement pattern screening and assessment. 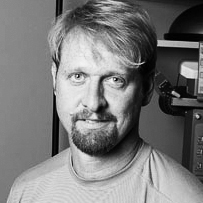 His work and ideas are at the forefront of fitness, conditioning, injury prevention and rehabilitation. You’ll find him lecturing on these topics several weekends each month, worldwide.